Purpose: Use this document as a reference for running the Deductions Not Taken report in ctcLink. 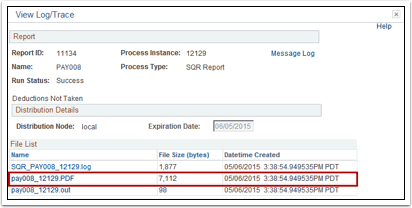 Click the Pay Run ID lookup icon and select the appropriate Pay Run ID or enter the number if known. 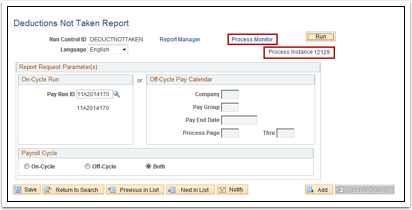 Select the On Cycle option in the Payroll Cycle section.